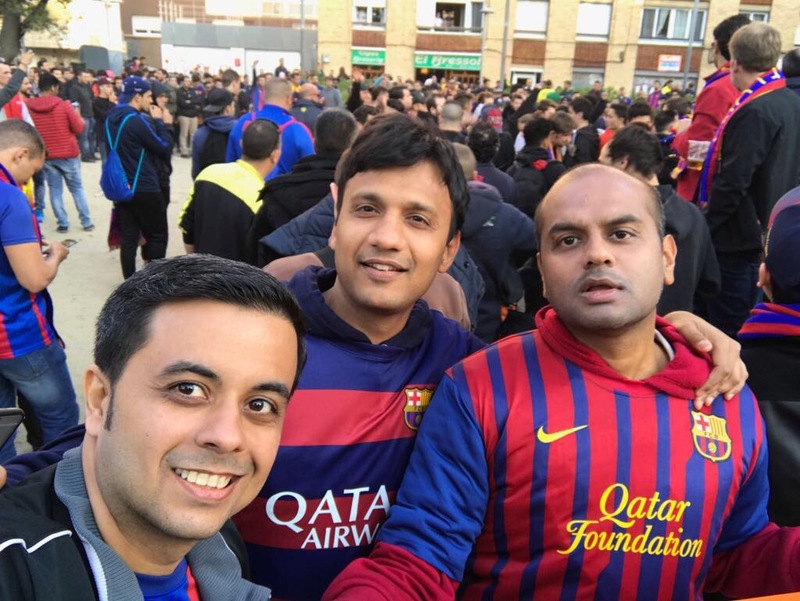 Our Football Pilgrimage 2017 had three uninteresting goalless halves at Nou Camp stadium. To make matters worse, FC Barcelona got eliminated from the UEFA Champions League 2016-17 competition in front of our eyes. 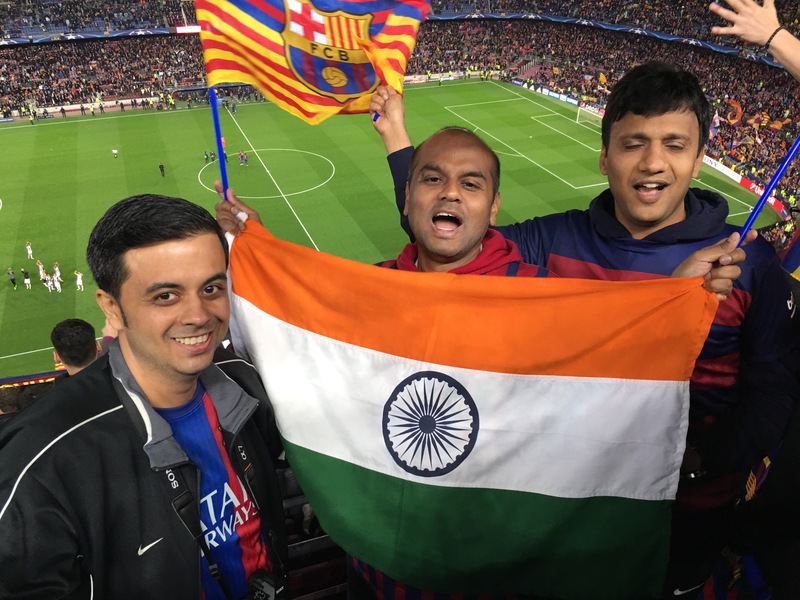 But an Indian flag fluttering high at Camp Nou, Neymar’s imperious form and the belief that 96000+ Barcelona fans had over their beloved team (to turn around an impossible 0-3 mauling), made up of visuals, you and I may never be able to conjure again. 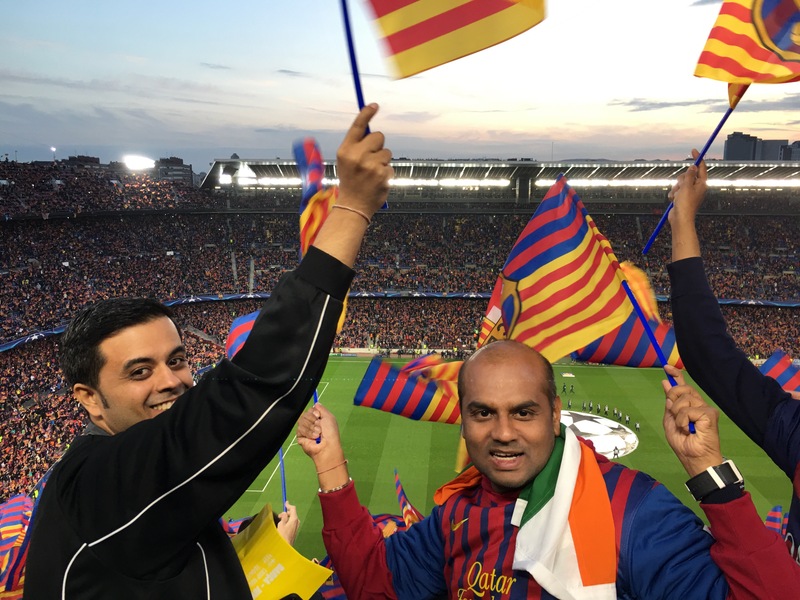 Here’s my list of top 13 Nou Camp moments of Footballing Pilgrimage 2017. Sergio Busquets had two routine games in front of us, neither outstanding, nor struggling. But watching the way he seamless broke opposition play is something to relish. His positioning, sense of anticipation, stretching of legs (almost gymnastic splits like) to disrupt opposition attacks and his calmness in front of a rickety defence line. Busquets (and likely most CDMs) work rate is best admired from the field view than on television. He has been the best CDM of this generation and we saw him. Marc Andre Ter Stegen exercising at center of the Barcelona half, almost 30 meters away from his goal line! Ditto for Marc Andre Ter Stegen. Television cameras would always be busy capturing action in the other half. But while ten Barcelona players virtually camped in the Juventus half searching for a goal (or two, or three), our man MATS was seen exercising often outside the box and well into the middle of the Barcelona half. On television, Manuel Neuer has often been captured doing the same, under Pep Guardiola. Now we saw Ter Stegen do it live! A 3-2 thriller, all in 45 minutes. 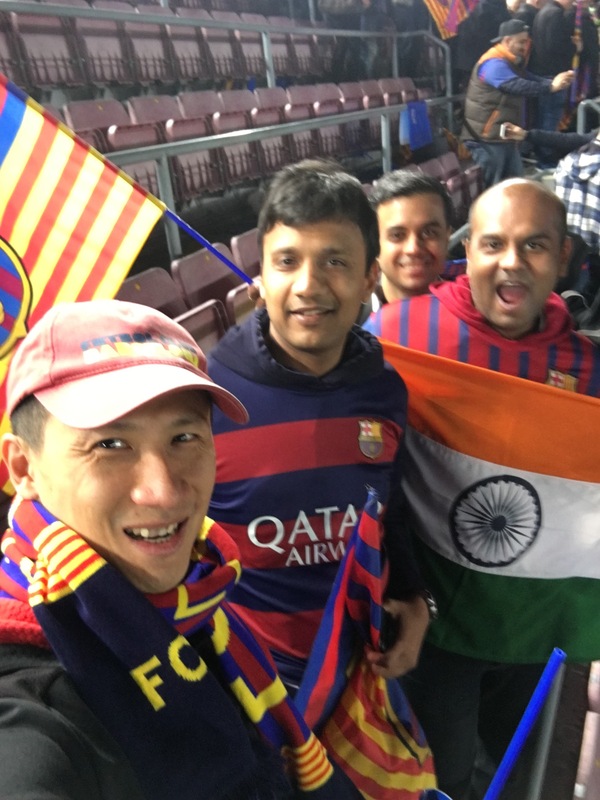 Our first live game of Football Pilgrimage 2017, from the stands, was Barcelona’s key La Liga encounter vs Real Sociedad. The first half finished an enthralling 3-2! Sociedad made the second half even tougher. 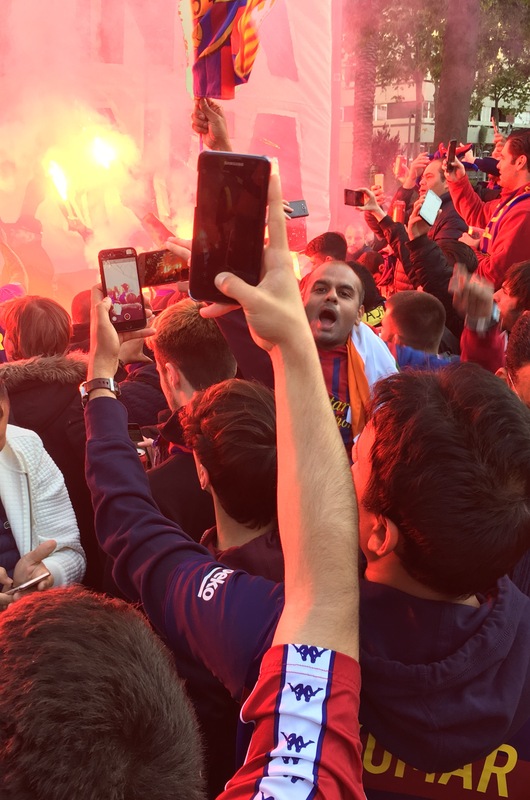 We left the stadium convinced that on that day Sociedad would have thrashed an Arsenal, Liverpool or any Manchester or London club, bar Chelsea. The Juventus encounter had two bitter Champions League pre-events. Barcelona were walloped 0-3 at Turin, a week ago. And Real Madrid rode on some ridiculous refereeing favors to beat a spirited Bayern Munich, a night ago. That quality of officiating was so poor that it reminded of a Dortmund Malaga Champions League Quarter Final 2013. Sadly, these games are easily forgotten and fans only remember a Chelsea Barcelona encounter – thanks to English media and one Jose Mourinho ranting over it – although he wasn’t remotely connected with that 2009 semifinal. In fact, you will find you tube videos which say Barcelona were denied justice that match! But in this social media age, perception is always greater than facts. 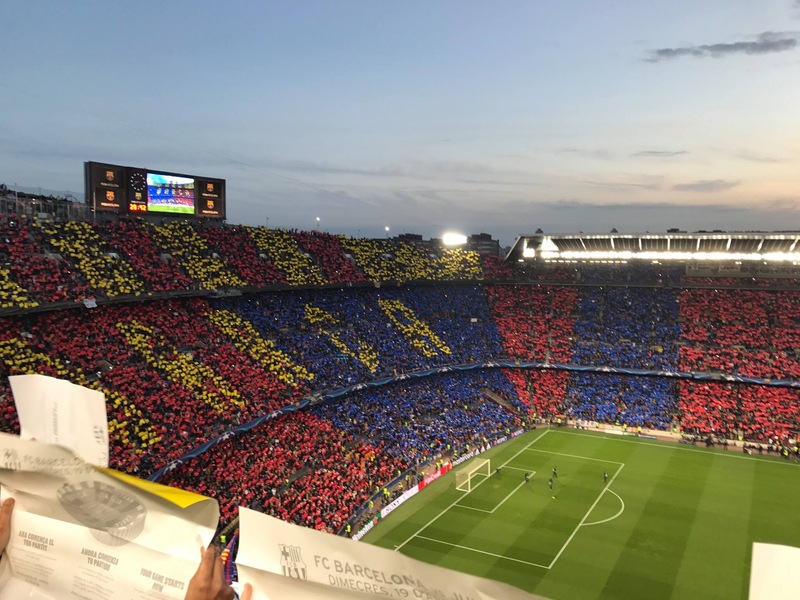 Number nine has to be the view of Camp Nou from our block 434, especially when the fans were asked to wave the flags and show the placards stuck to our chairs. We got blue colored placards and when our side stood up waving, it displayed “More than a Club”. That view, which momentarily takes your breath away. 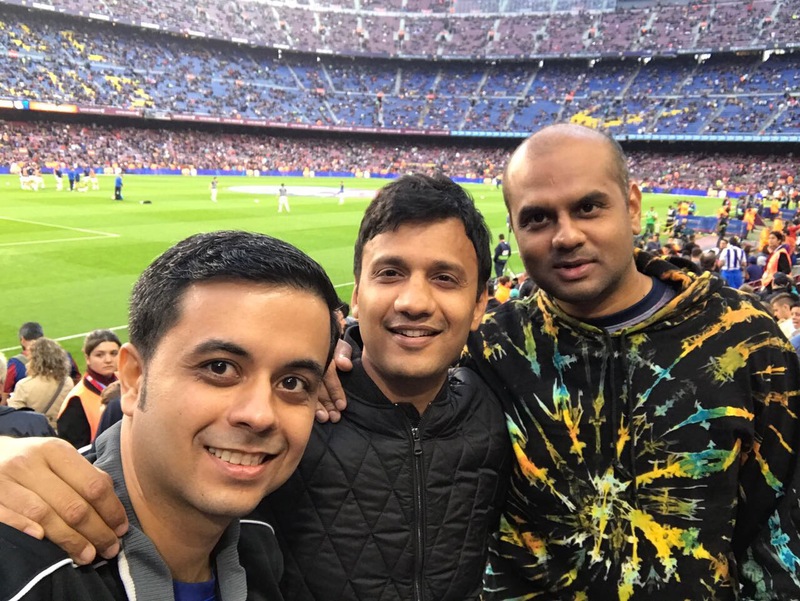 A football trip with friends is a dream come true event. Specially for Kumar and me who are father to two kids respectively. Leaving all our routine work and setting foot to finish a dream was unthinkable till a few years ago. People looked at us in awe, whosoever we told. 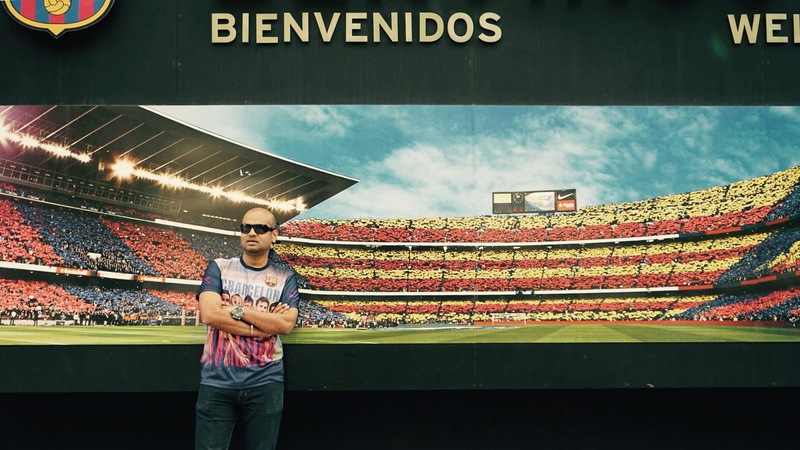 Nirmal actually got requests for 15 Barcelona customized jerseys from his office colleagues. For some of them, he was playing out their dreams, surely. 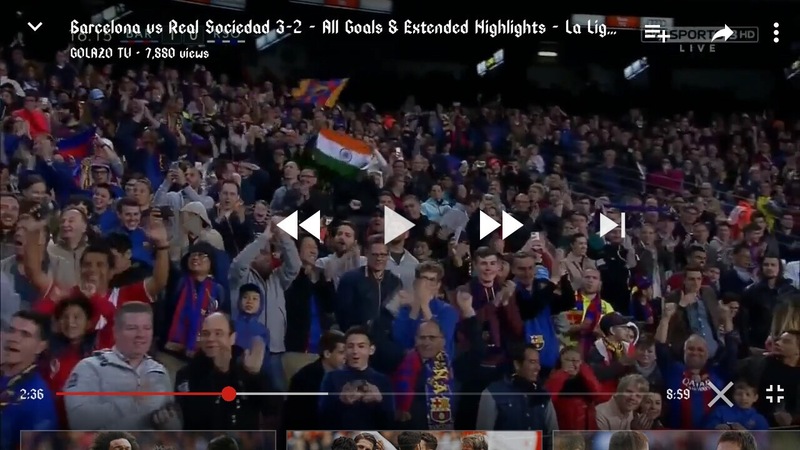 During our trip, at Barcelona, France and Amsterdam, we cheered together, got frustrated together, laughed together, got tensed together, shrieked together, moved together and waved together. Here’s a big thank you to Nirmal Kapadia, Kumar Sambhaw Sultania and his support structure Pooja Sultania and my support Moutrisha Samanta (Trisha) for making all this work. 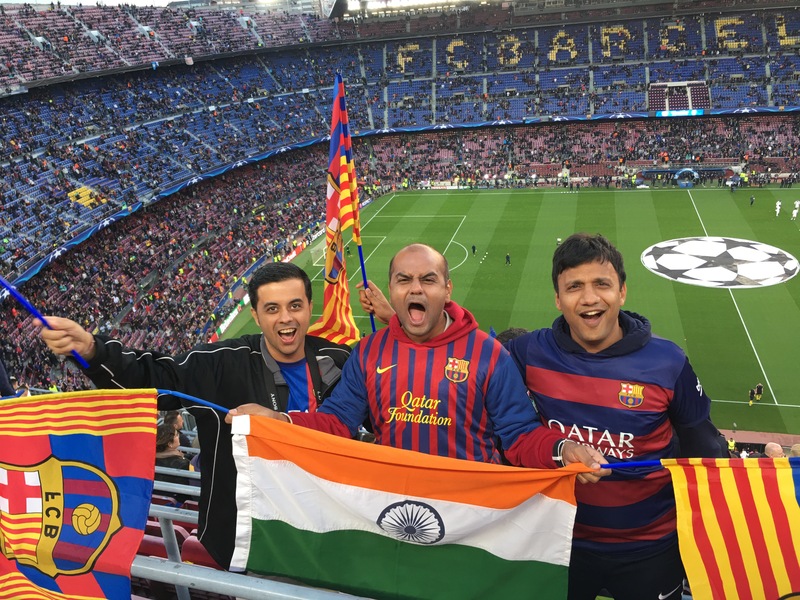 It was unforgettable, despite the adverse FC Barcelona results. For the Real Sociedad game we had one of the best seats at block 101. Just between the corner flag and the subs bench and a level up. 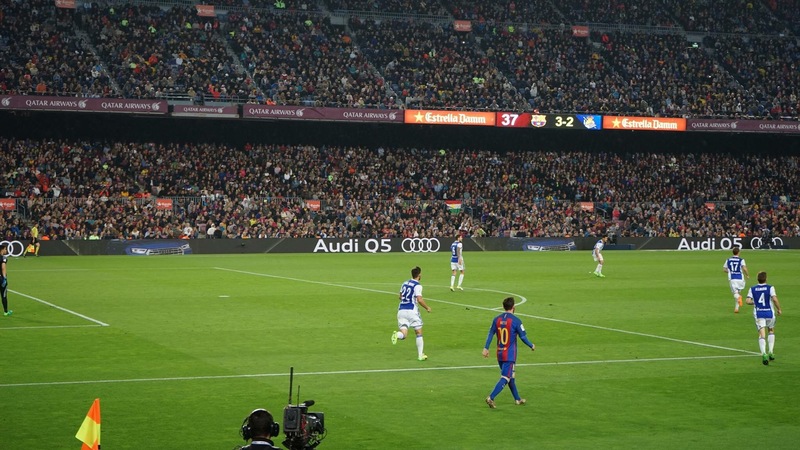 This was a game where we saw many stars from 10-15 meters’ distance – Rakitic taking booming in swinging corners; Rakitic and Messi getting into the short corner routine; the dashing runs of Paco Alcacer, Sergi Roberto and Jordi Alba. This is something, we will go on to tell our grandchildren, and anyone who we meet from now till then! 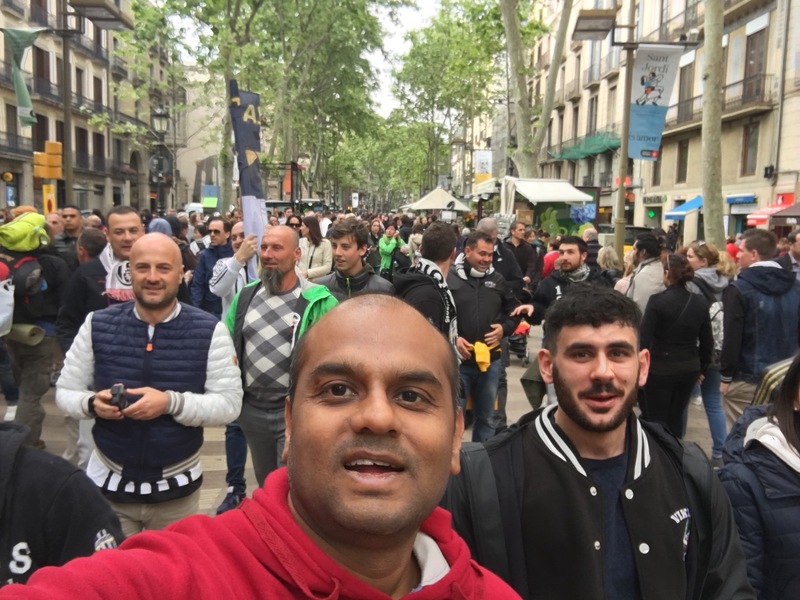 Am aware and have first hand experience that the Indian nationality has more respect at Spain, than what you can imagine. But other nationalities taking pictures with our flag was a surprise. Here’s two such clicks we have; there were more! Neymar had a brilliant night vs Juventus. It’s sad that his teammates couldn’t up their game to his level. In fact we have also now witnessed a night which footballing legend Lionel Messi would want to forget, and two nights, the Uruguayan legend Luis Suarez would too. But Neymar was breathtaking. 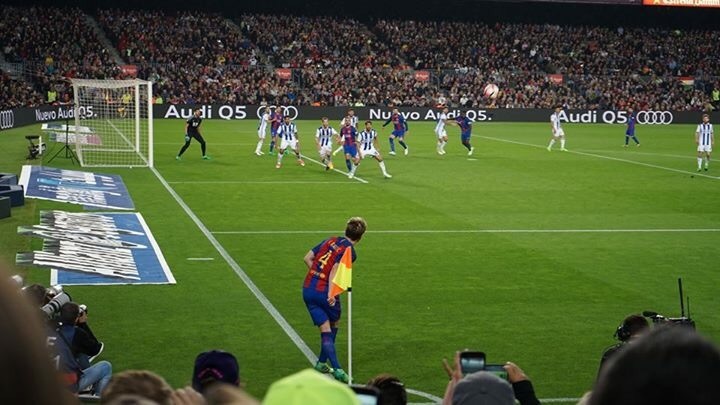 Whenever he got the ball on the left side, we were sort of assured that he would take out two Juventus defenders easily and run at least to edge of the box, if not inside. Neymar was chief architect behind the PSG turnaround, and in the sort of form he was, deserved a lot more for himself and his club. In some ways 2016-17 will be wasted year for Neymar. Had his team upped their game by 5% (read: avoided the 0-2 to Malaga, 0-3 to Juventus, 0-4 to PSG type thrashings), this was a treble year waiting for FC Barcelona. It might be treble year for Juventus though. They are my pick for the UEFA Champions League trophy, and I don’t say this just because they will play Real Madrid in the finals. I have utmost respect for Real Madrid but Juventus have been a team who have tamed the best attacks this season and conceded just two goals enroute to the final. I see Juventus winning the Champions League final by a clear 2-0 type score line. You read it here first! And if nothing, their fans deserve it. 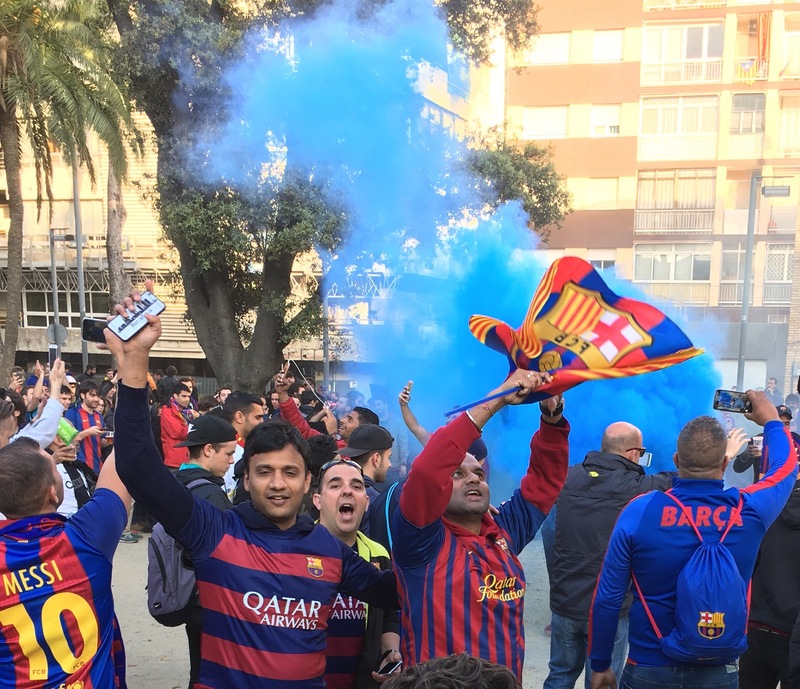 Thousands of them were swarming all over Barcelona on the 18th and 19th of April, in anticipation of eliminating Barcelona in the quarterfinals. 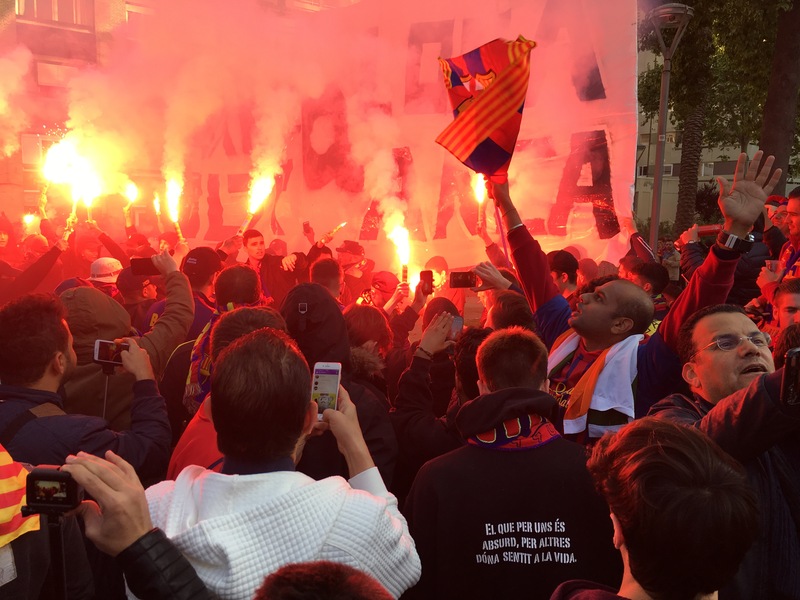 La Rambla had close to 5000 Juve fans singing in the morning of the return leg game. 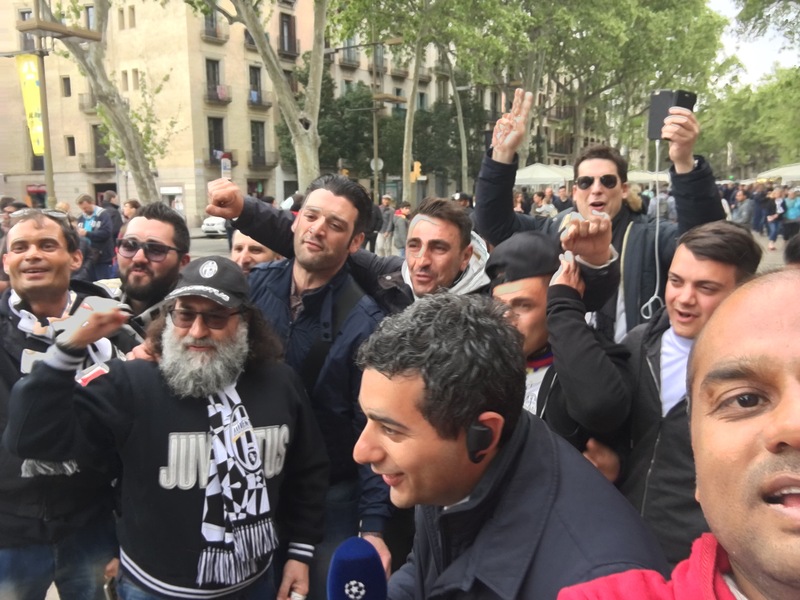 Singing, dancing, giving interviews to Italian television (I spotted ex Italian and Juventus defender Alessio Tacchinardi with the microphone) and shouting slogans. But they were well behaved, fun loving and had no intention for brawls, fights or getting under your skin – something you would expect English and German fans to definitely demonstrate. 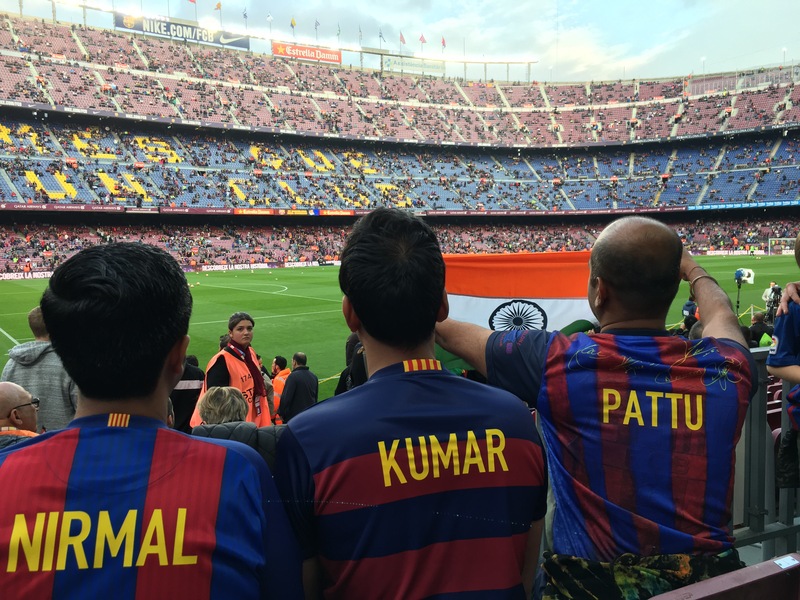 I had promised in Part one of this series that I will ensure that the Indian flag flies high at the Camp Nou. That happened and the cameras captured it multiple times. Specially after the goals in the Real Sociedad game on 15th April. 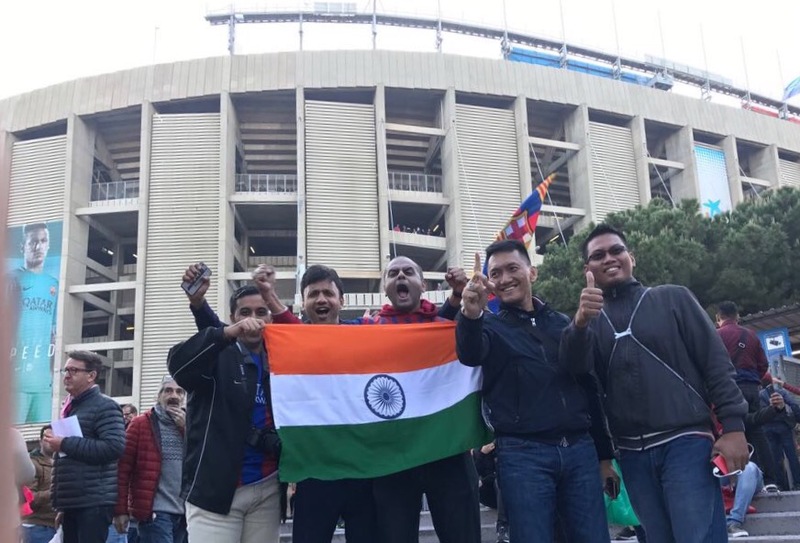 Friends all over Facebook did acknowledge seeing the flag at Camp Nou and feeling proud. Many posted on my wall too. I have now decided to try repeat the act in 2018, assuming all goes well. In history of UEFA Champions League, a three goal or more deficit has been wiped out, only twice. The first instance being when a Spanish team beat an Italian giant at the Riazor stadium on 8 Apr 2004. That Deportivo La Coruna 4-0 performance over mighty AC Milan, a match I had viewed on television, kept coming to mind. 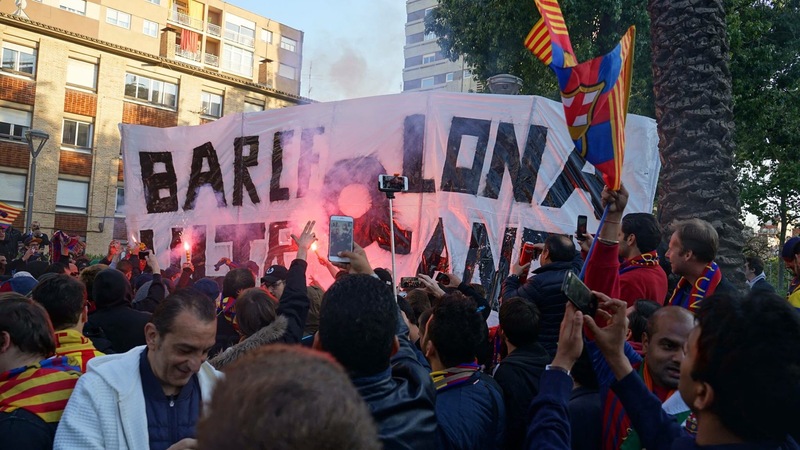 However, it was the second instance, the latest one, as late as 9th Mar 2017, when this Barcelona team won an epic last gasp 6-1 thriller over Paris St Germain. 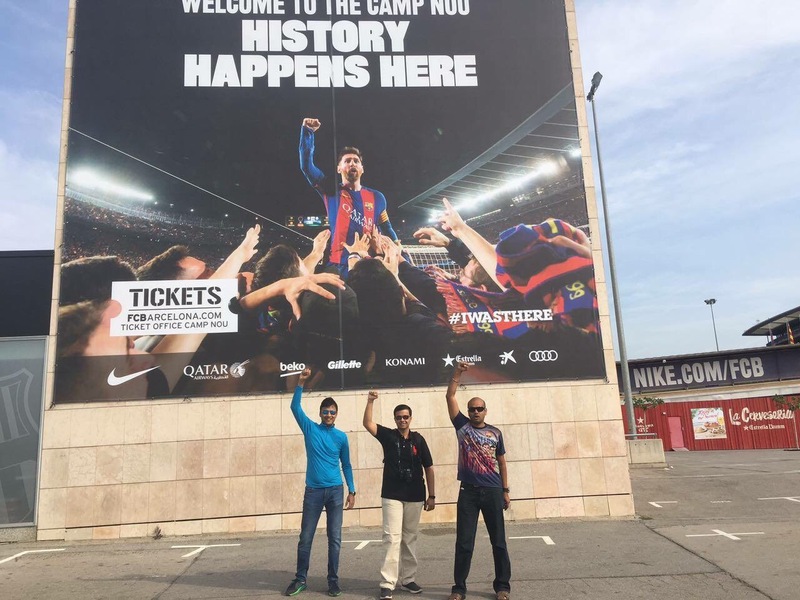 That match prompted Nou Camp authorities to put up a giant banner ‘History happens here’. Truly that’s a history which any team will find it tough to repeat, even over a minnow club. What that match has done is given insurmountable belief to Barcelona faithful that this team can do anything. Nothing else explains 96290 fans attendance screaming for their team to overturn an utterly hopeless 0-3 situation. I was in fact confidant that this match will have good share of empty seats and we will get tickets on the cheap. 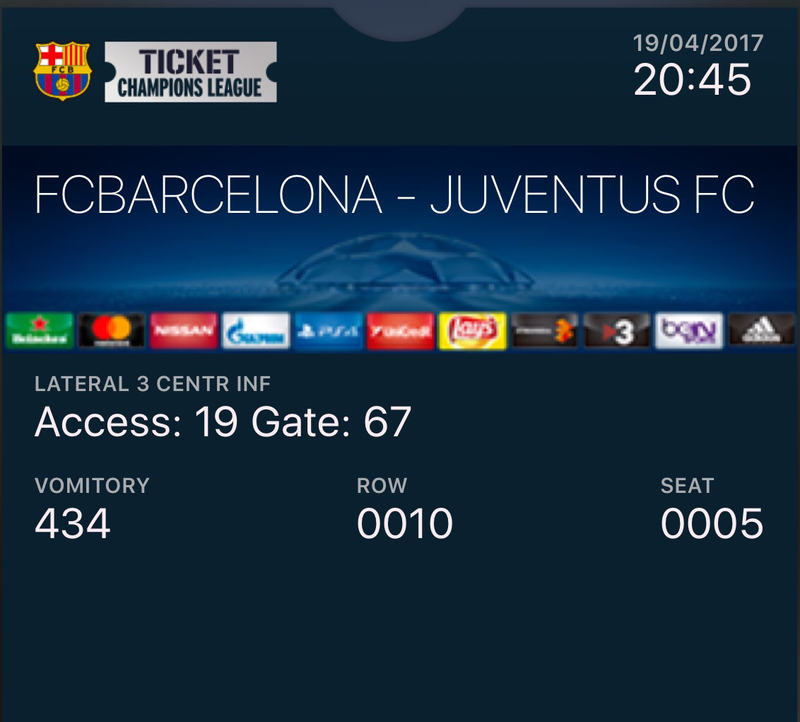 I delayed my ticket purchase till the last weekend and, must admit, got tensed when the official FCB site were struggling to release the tickets for public booking. We got decent upper tier view seats for 250 SGD = 160 EUR = 180 USD = 11500 INR. This belief is there to stay. And it is heartwarming tribute to this generation of FC Barcelona players. A team which so far has had a below par season by their lofty standards, but still evokes majority of its fans globally to believe ‘Nothing is impossible’. To give a comparison, Chelsea, is one team in recent memory, to have twice overturned two goal deficits versus top opposition – against Napoli in 2012 and Paris St Germain in 2014. Both times at home at Stamford bridge. 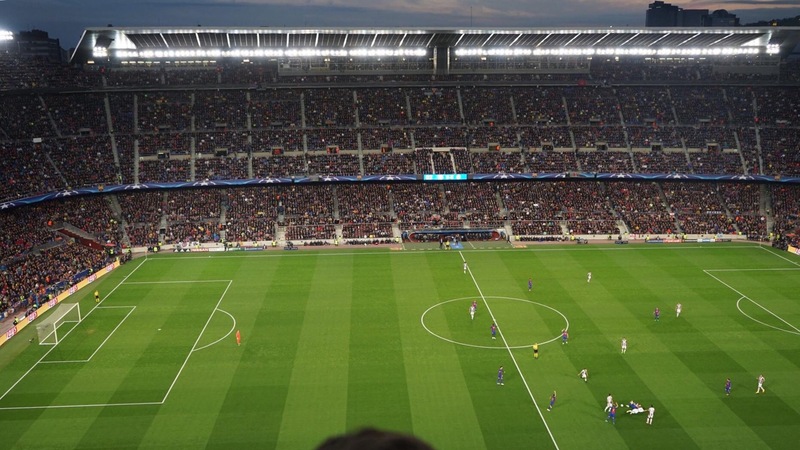 Both times, the attendance was just above 37000+ fans in a stadium with capacity 42000! It’s a question of belief, and being loyally behind your club, at worst of times. The rally before the game. Vamos Vamos! The intensity of that ‘belief’ got clearer as we trooped towards the stadium ninety minutes before kickoff. Just outside the gates, around 100 metres away, in a kids open playground area, there were a thousand odd Barcelona faithful in a huddle. And with one mission. To believe. They had large posters, crackers, flares and extreme enthusiasm. And they wanted to play it all – then and there. The leader of the gathering, came up to us (and to each mini group there) and kept saying “Creer, Creer…. Grita fuerte, Grita Fuerte… Vamos Vamos” (translate: Believe, believe… Shout aloud, aloud…Lets go, Come On). He made it clear we are all not there to make numbers, that some of us (like us) have travelled miles to see this game, and must shout hoarse. This is war. 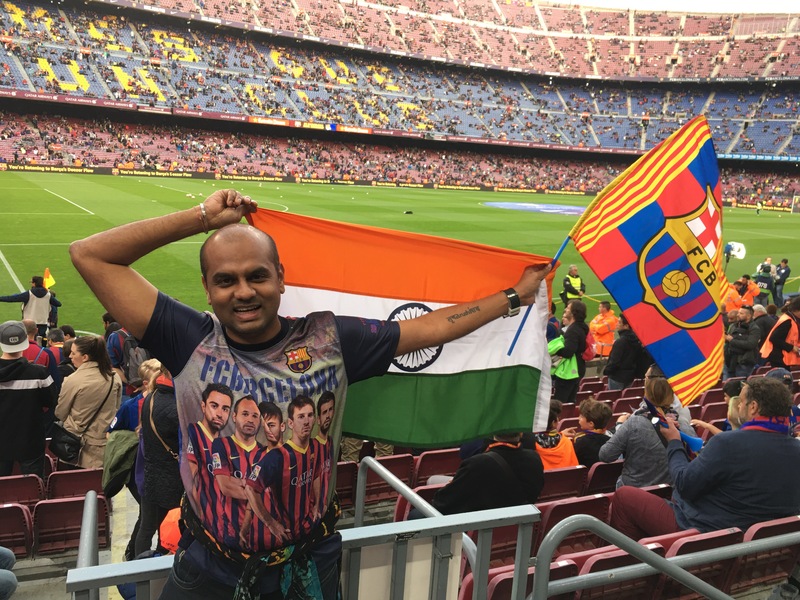 Having said that he ran up and climbed on another guy’s shoulder and gave signal for the war cry… drums started beating aloud, bugles made ears shrill, crackers went off, flares all lighted up, posters shown up as all went ballistic shouting the ‘Baaaarcelonnna Vamos’ repeated times. Our hearts all pumped up and blood all warmed up. I got the feeling if the team showed that level of electrifying intensity (that the leader of the pack displayed), Barcelona can make a game of this tie. It was stuff I won’t ever forget. I felt like being part of a massive protest rally, one which didn’t care if the expectations were fair or unfair, justified or unjustified, possible or impossible. It had just one theme. 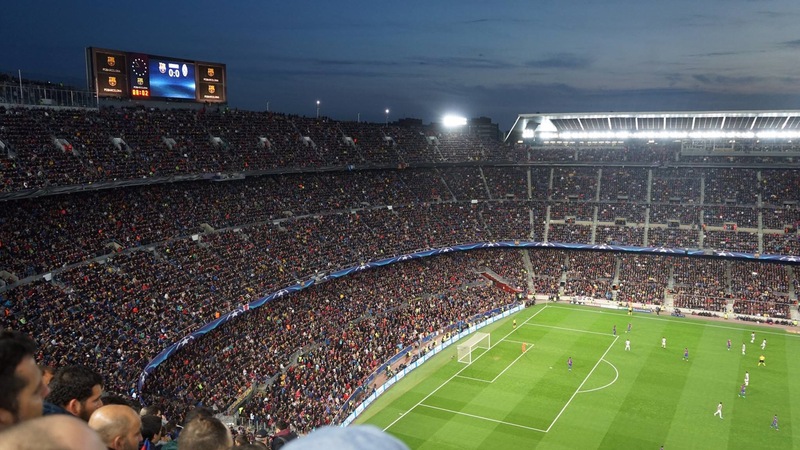 Belief, shout aloud and let’s go on and back the team at fortress Nou Camp. 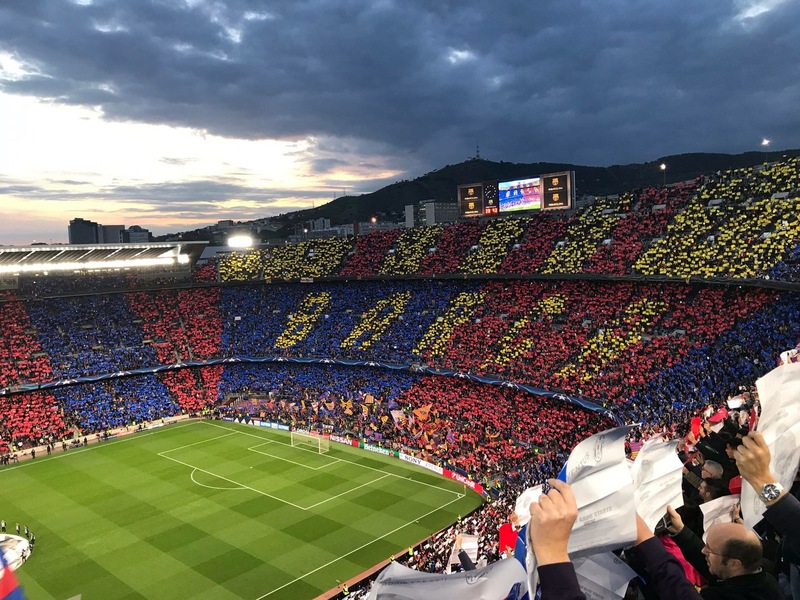 To gauge the level mindedness of this crowd and that of Barcelona fan base, while they jeered everytime Juventus had the ball, the jeer would significantly lower down when ex-Barcelona player Dani Alves had the ball. They still loved him, although his shirt had changed. 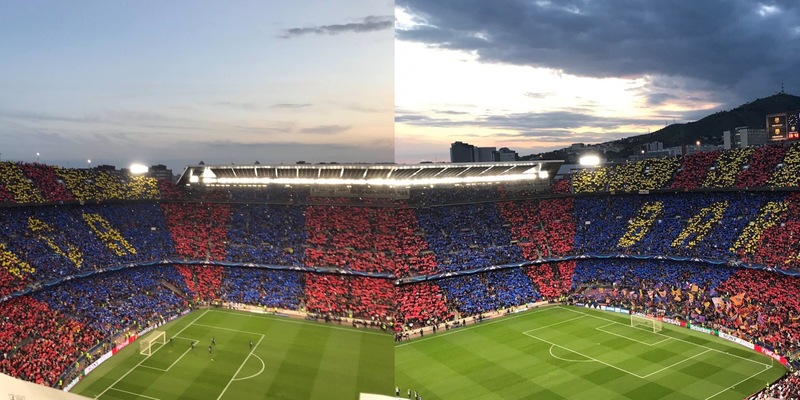 That is Barcelona, more than a club, biggest club of world football, a club with a unque philosophy, a leader and one whose sole aim is to contribute to football and joy to its fans. Nirmal Kapadia, for some of his clicks and for being there with me. Kumar Sambhaw Sultania, for his upset face at the end and for being there with me. There is a joy and history in sadness also. We were there.